This clip is of an incredibly beautiful ballad from Debbie & the Passengers called Wednesday Afternoon. It’s about an affair that only occurs on Wednesday afternoons because that’s the only time the man in question is able to sneak away from work to be with the lady singing the song. This film is a true original, and it’s about truly original artists. It follows them on their tour of England in 1998 with loving audiences and incredible musical performances and singing. The style of the film is visually expressive in a way you’ve never seen before. 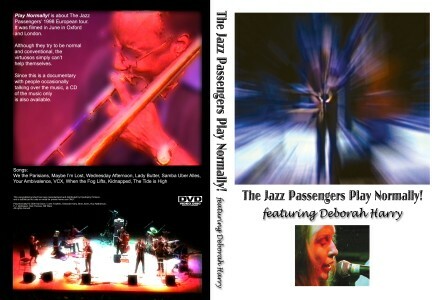 A must for Deborah Harry and Jazz Passengers fans! 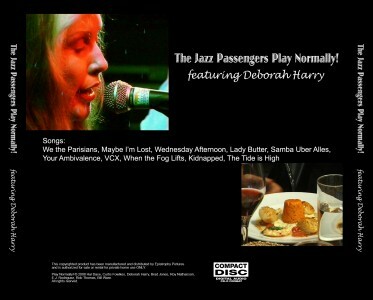 I was working at NBC Europe when I met the Jazz Passengers and Deboah Harry in 1996. I was senior editor on a show called Talkin’ Jazz. I was one of only two members of staff (not including the producer!) who actually bought jazz records and loved all the music on the show like I was the luckiest guy on earth. And when we did a show on the JPs with Debbie, I was blown away. They were my new favorite band. A couple of months later the producer offered to let me direct some shows, and I asked if we could do the JPs again. He said yes, it was a great show, and a year later I decided to shoot this documentary. This film is my proudest achievement.